Today’s Flash Back Friday comes from Episode 90, originally published in April 2012. Whether your biggest challenges are in your business or personal life, pushing through the fear and challenges to success begins with realizing you’re not alone and adopting the attitude of never giving up. 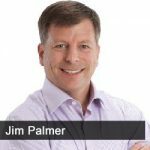 Jason Hartman interviews co-author of It’s Okay to Be Scared But Never Give Up, Jim Palmer about the success stories in the book. Having faced their own serious challenges, the authors wanted to help others find the road to perseverance by telling their own stories and interviewing several business experts regarding the challenges they faced and how they overcame the odds. Jim emphasizes the importance of never giving up, of finding your inspiration and hope to move past the most difficult times in your life. Jim shares several examples from the book.